Many ladies have envisioned their wedding day since they were very young. Every little detail: the venue, the dress, the cake, and even what their Prince Charming will look like! Any life event this important almost demands that look your absolute best, and that includes your bright, beautiful smile! Even if you have years, months, or just a few weeks until your wedding there are many cosmetic dental procedures to ensure your smile will look its best. From basic teeth cleaning, teeth whitening, to invisible braces that can quickly enhance your smile before your wedding day! Our goal is to direct you to useful information to help create your perfect wedding smile. From homeopathic methods of whitening and brightening your smile to advice on selecting a dental professional in your area, we will present you will the best options we can find! No matter how much you brush and floss, plaque/tartar buildup on your teeth in inevitable. A professional cleaning is relatively inexpensive, and quick. Professional cleaning normally costs between $60 and $200 depending on location and provider. Dental cleanings are often covered by dental insurance so check with your policy provider. Many dental insurance policies cover two cleanings per year. If you have missing teeth, dental implants are the best long-term solution. They are designed to function, feel, and feel just like natural teeth. A dental implant replaces the root structure of the missing tooth that is secured into the bone. This process can take anywhere from two weeks to a couple of months, depending on healing time. The healing process and healing time can vary, so the first thing you should do is schedule a consultation with your dentist to find out how long it will take for your specific circumstances. 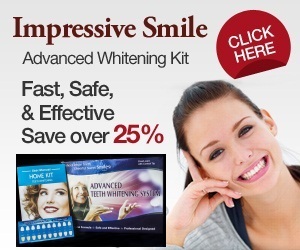 Teeth whitening effectively lightens teeth and helps by removing stains and discoloration. Whitening is among the most popular cosmetic dental services as it can greatly improve how your teeth look. almost all dentists perform tooth whitening, but there are many at-home DIY teeth whitening kits available. ​Whitening is not a one-time procedure. Repeated as part of your overall smile strategy, teeth whitening will help maintain your beautiful smile. Invisible aligners are the "clear alternative" (I love puns) to conventional metal braces. These invisible aligners are the virtually unnoticeable way to improve your smile for a lot less money and time than regular braces, and you don't have to spend hours waiting in a waiting room! Start seeing results in weeks without having brackets cut the inside of your lips! Get the straight, white smile you've always wanted from the comfort of your own home with SmileDirectClub! Invisible aligners for your Wedding Smile! Get your fiance involved in the process! Become the couple with the killer smiles together! Guys are generally less concerned with their smiles, but if it is important to you it is important to him. Getting a perfect smile is a great project to work on together. Becoming each other's Support Group is an important factor in any relationship and this can be a fun and rewarding experience to share! "A couple that smiles together, stays together"
Get that perfect Wedding Smile Together!